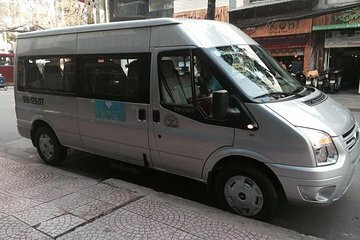 Evita il fastidio dell'arrivo in una città nuova e sconosciuta con questo trasferimento privato dall'aeroporto internazionale di Tan Son Nhat al tuo hotel di Ho Chi Minh City. Prompt and dealt with two different arrival times my flight was one hour sooner than my daughters very professionally. Our flight was supposed to arrive at 1:30am but we arrived an hour and a half late and we did not exit the arrival hall until 3:30am. We were worried that the driver would not be waiting for us. However, the driver was there and we appreciated his great patience and professionalism. We would use this service again. Our flight was late and the driver was on time and provided a professional ride to our hotel. I would use this service again.